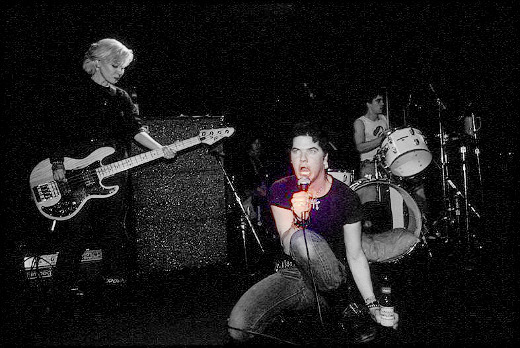 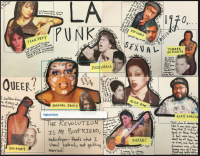 The archive of this queer LA punk chapter will take up the "technologies" of teen fan culture, including post-WW2 practices of bedroom wall postering, 1980s homemade cassette "mixed tapes," and 1990s “zining” and blend these analog forms with more recent networking through social media and internet searches of favorite bands. 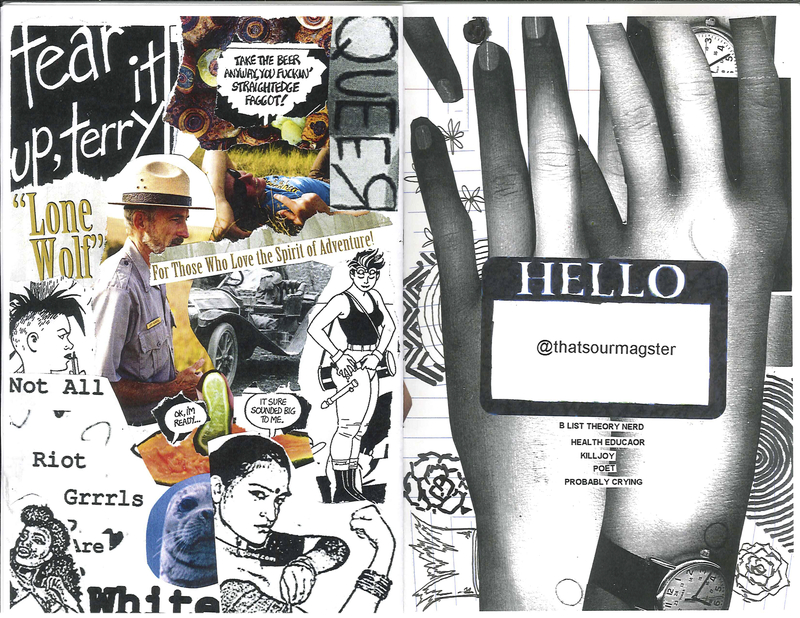 Our hybrid analog and digital galleries will speak to the creative curations of the sullen teenager’s alternative forms of social communication. 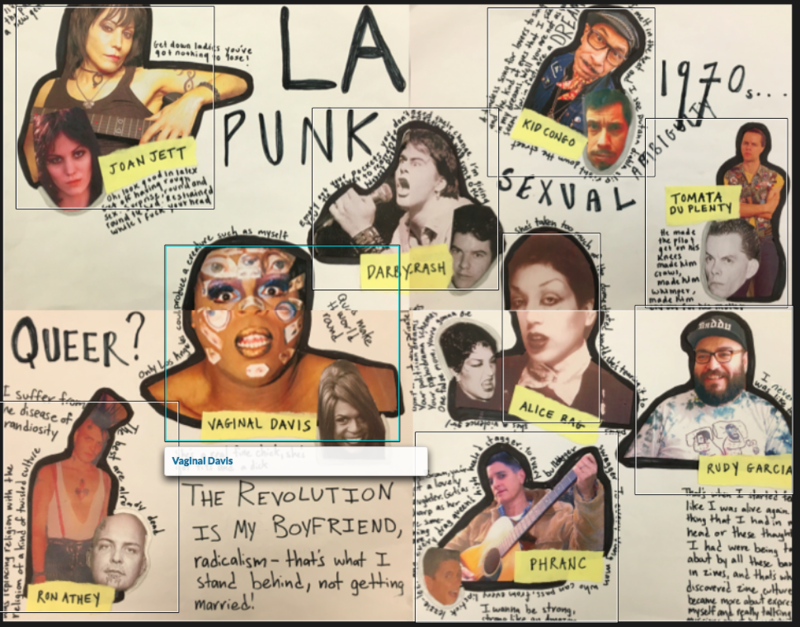 Featured below is CTSJ 337 student Casey Diaz's mock up of a digitized fan poster that, like the #Ovahness chapter's interactive ball program, will eventually use and flip Scalar's image annotation tool to link out to "zine" pages giving individual histories and contexts for some of LA's queer punk icons. 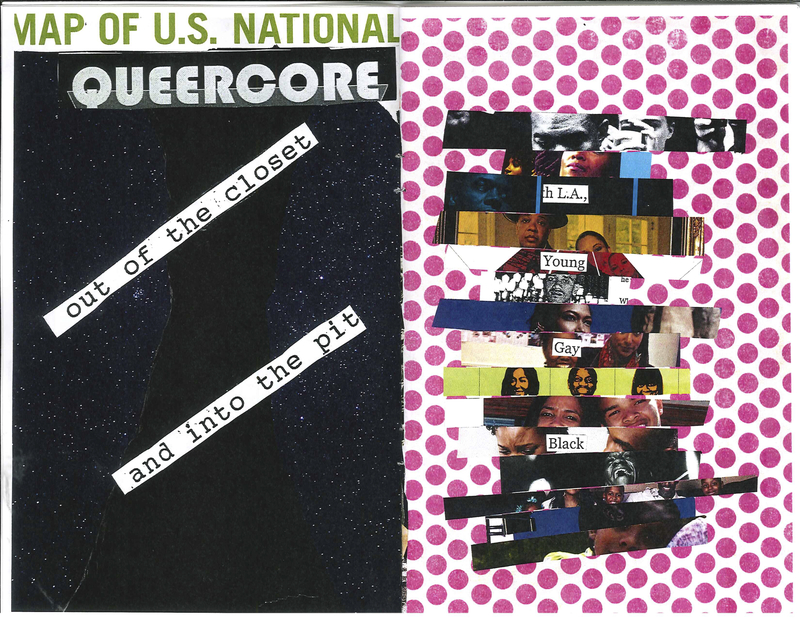 For more about how David J. Kim, Kelly Besser, and H. N. Lukes encouraged student to think with Scalar and analog forms like zining together, see our visual document of and about zining,"Queerious," and Kim and Lukes's provisional ruminations in "Cut/Paste/Mean."